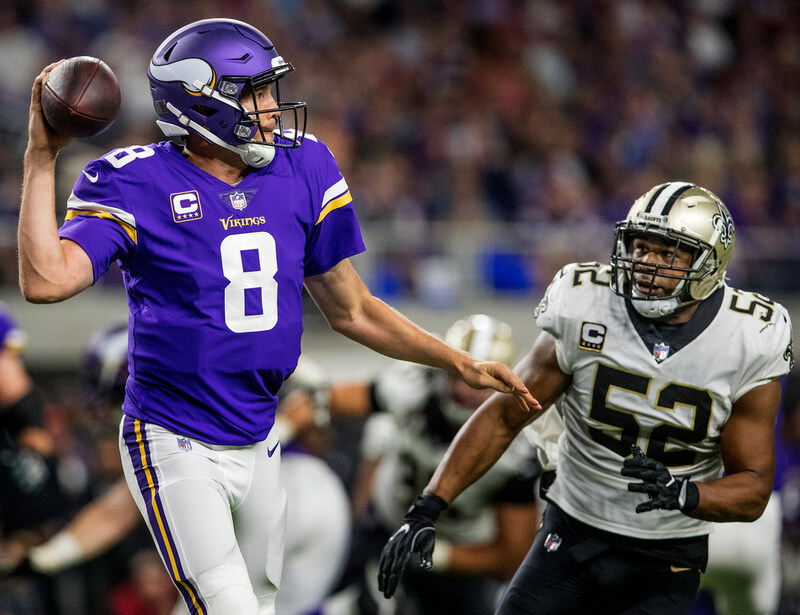 Though both Anthony Barr and Sam Bradford are nursing injuries that caused them to miss practice time this week, coach Mike Zimmer said Friday he anticipates both players will play Sunday in Pittsburgh. Officially, the Vikings listed Bradford, Barr and cornerback Xavier Rhodes (hip) as questionable for Sunday. Barr took part in practice after missing the first two sessions of the week with a hamstring injury, and indications from the practice session were the Vikings expect him to be available Sunday. Bradford had a MRI on his left knee earlier this week, according to an ESPN report, but was throwing during individual drills each day this week. It’s worth noting the Vikings haven’t made any roster moves this week (like activating quarterback Kyle Sloter from the practice squad) that would indicate they’re worried about Bradford’s availability for Sunday, though the team could always make a move between now and Sunday afternoon’s kickoff. The Vikings will issue their final injury report of the week later this afternoon. The Vikings need to better protect their investment in Kirk Cousins and open running lanes for their running backs. Does that add up to an easy call for the team?